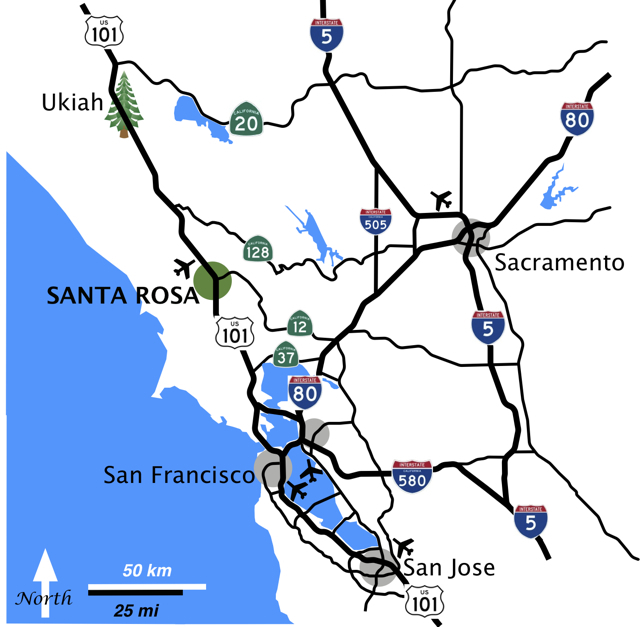 Santa Rosa has a regional airport. Nearby major airports are San Francisco, Oakland and Sacramento. + Daily service via Alaska Airlines from Seattle, Portland, Las Vegas and Los Angeles. + Ground Transportation options include rental cars, bus, taxi and limo service. Santa Rosa is 60 miles north of San Francisco on U.S. Highway 101.